We can’t say that ILife V5s Pro Robot Vacuum Cleaner is an upgrade version of its predecessor V5 rather; it is a V5 only that it has more power. Just like an X5, you can schedule a specific time you would want to clean. The ILIFE V5s pro robot vacuum cleaner is a 2-in-1 robot cleaner that can mob as well as sweep. When you purchase this product, it comes with 1 water container as well as a mop cloth designed for mobbing mode. V5s is relatively expensive; it cost less than $ 200 compared to the immense benefits it comes with. On one single charge, your V5s will work for 150 minutes thus, this robot cleaning-unit is ideal for both small and medium-sized residence. In addition, it works perfectly on hardwood floors so no need to worry. 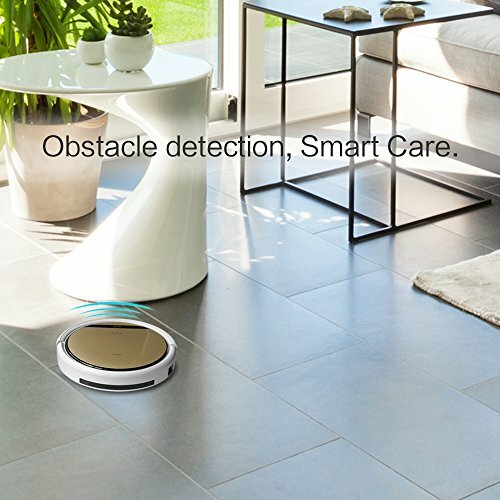 ILIFE V5s pro robot vacuum cleaner on carpets? In regards to carpet cleaning, the V5s works like a sweeper; it can catch both dusts as well as dirt but it’s unable to deep clean either a carpet or rug. The most amazing thing about this robot cleaner is that, after it is done, this machine will automatically return to its docking-station in-order to recharge. Though it doesn’t have an app, you can control it only by using its IR-remote controller. However, its bin seems to be small hence, you’ll have to clean it more often. pull deeper dirt as well as grime off your floors to maintain them clean every day. 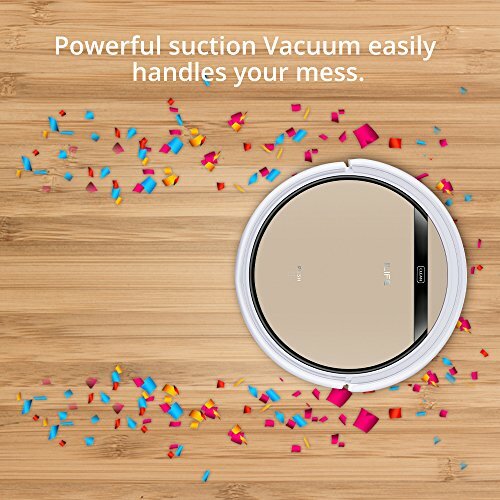 If compared to Roombas, The V5s Pro has a dimension of; 11.79 inches for a diameter while a height of 3-inches making it be among the smallest vacuum cleaners in the market. Thus, it is able to go through tighter spaces and under many pieces of furniture with lots of ease. manages to be the best. To sum it up, the V5s is built with a special silent technology that reduces the noise-level to averagely 55dB. This noise is reduced-further when you’re wet cleaning. In addition, the V5s operates using the lithium-ion battery that gives a longer cleaning as well as it’s more durable. 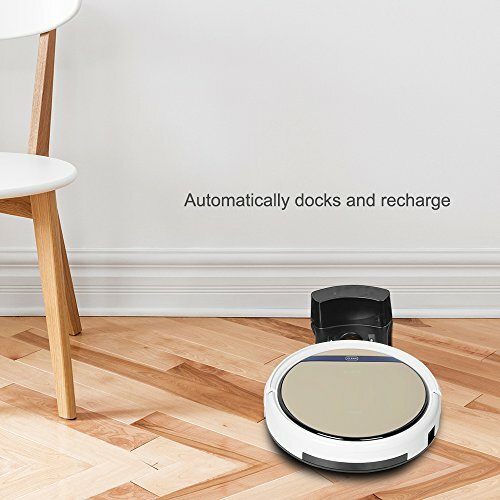 Just like any other ILIFE robot cleaner; the V5s works on a random-navigation pattern that runs until it the machine detects that it is low on battery. in response, it shuts off the motor and then returns to home base for a recharge. However, it depends on your home layout. On instances, the robot will run out of battery before reaching its charging station. But on small houses, it shouldn’t be the case unless it really has a complex layout. To maximize the efficiency of your robot, ensure that tidy-up any potential roadblocks such as loose wires, small toys or narrow chairs. The V5s has an all-in-one sweeping, vacuuming, mopping and damping ability to maintain as well as clean your floor. It built with pet hair technology and advanced electric motor with max mode that is powered by long-lasting batteries to enable it pick-up dust, hairs as well as other dirt more conveniently and effectively. It small slim body makes it easy to clean under the furniture and beds. Those are areas where the normal vacuum cleaner often finds it impossible to reach. It is equipped with smart sensors to detect staircases thus, your device will not fall off during the cleaning sessions. If you have ever operated a Roomba then operating the V5s Pro won’t be a problem. You will only need to press or rather touch the “CLEAN” button that is located at the top; hence it will immediately start running as well as doing the cleaning by itself. Underneath of your machine, there are 2 fixed as well as 2 rotating-wheels which allow your vacuum cleaner to-go through the hard-floor. It can also return back-to the charging station automatically when its battery runs out of charge. hard-to-clean” surface gets more attention. · The edge-cleaning mode-it directs your ILIFEV5s close to the edges-of the walls to enable you to have cleaner corners as well as baseboards. If you fail to turn this mode on then your machine will often avoid the walls thus, it will only come within 6-inches and then turn away. · However, without specifying any-of the above modes then, your vacuum cleaner will always go through its automatic cleaning-mode, spot-cleaning mode and thereafter, the edge-cleaning mode. Henceforth, it means that, even if you leave your V5S on, it will still clean your entire floor will be cleaned. The new V5s can vacuum and wet. However not at the same-time since both the bin and water tank often occupy the same spot. When the water tank is connected to the vacuum cleaner, it detects it and in response shut-off the vacuum motor. The water tank is a plastic container and has an opening located at the top for water refills and it also has two small holes that are located at the bottom thus, where water normally dips out. In addition, the water tank doesn’t have any kind of regulator to control water-droplets though, it relies on gravity. 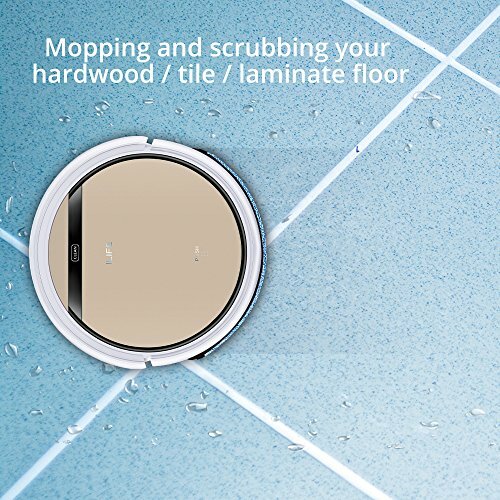 therefore, when you’re using it, do not limit yourself to only using water but rather, you can also use a hardwood cleaner or even tile cleaner and then use your robot to do the rest that is, mop it for you! What makes any vacuum cleaner great is what it is made of and built with. 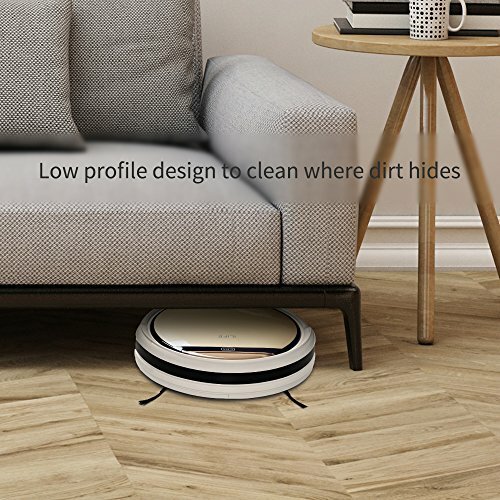 That’s why, the V5s has been acknowledge by many people as the best robot cleaner ever based on the technology used and it’s superb functionality. · Low Profile Design- to ensure that the cleaner easily maneuvers under the furniture, chair legs, beds, kickstands and even curtains. · Strong road-rover wheels- to ease movements and improve the vacuum cleaners stability while cleaning. · i-Dropping technology- this mechanism greatly helps in mopping in that, it ensure precise wet mopping. it simply stop the water from dropping that is, when the vacuum cleaner is still while when it is in motion, then it allows the water to drop hence guaranteeing efficiency in cleaning. · Advanced navigation sensors- navigation is the major factor in the functioning of any robotic appliances. The V5s is equipped with a full set of advanced sensors such as anti-collision sensors for navigation and safety. They prevent your vacuum cleaner from hitting any obstacle when cleaning. · Remote Controller- just as the name suggest, you can use its remote to control the device such as choosing a cleaning mode, send your cleaning to home-base or even schedule cleaning time. 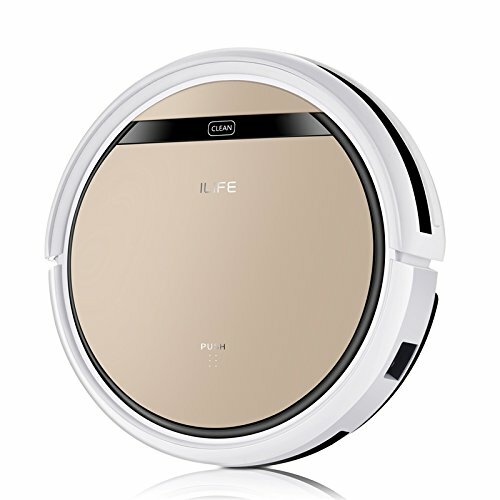 Where to buy the ILIFE-V5s Pro Robot Vacuum Cleaner? If you are looking for the best price. simply click at the button below and order the ILIFE V5s robot Vacuum cleaner today!